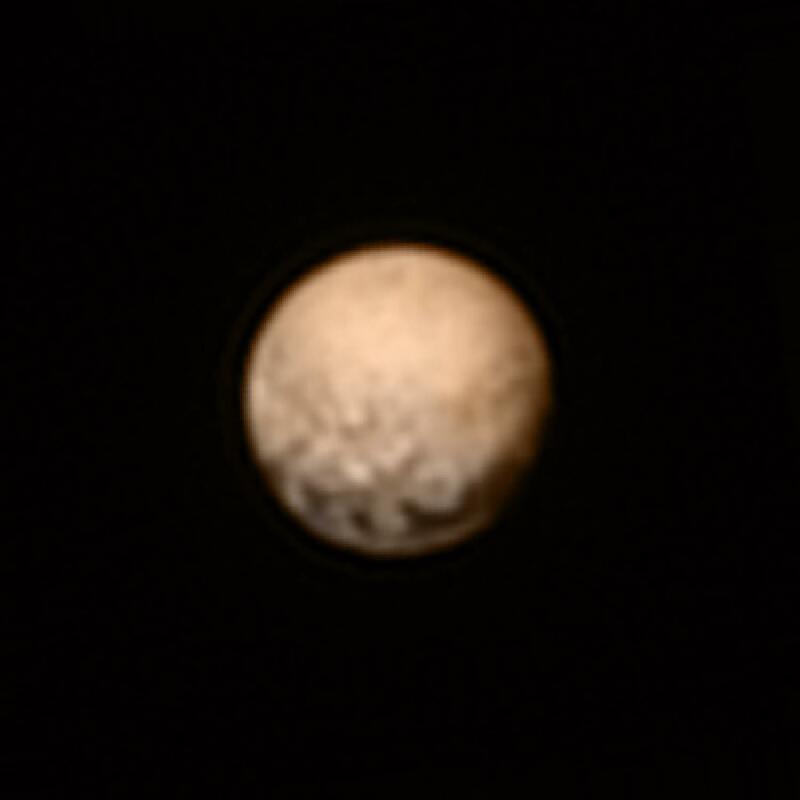 These are the most recent high-resolution views of Pluto sent by NASA’s New Horizons spacecraft, including one showing the four mysterious dark spots on Pluto that have captured the imagination of the world. The Long Range Reconnaissance Imager (LORRI) obtained these three images between July 1-3, 2015, prior to the July 4 anomaly that sent New Horizons into safe mode. The left image shows, on the right side of the disk, a large bright area on the hemisphere of Pluto that will be seen close-up by New Horizons on July 14. The three images together show the full extent of a continuous swath of dark terrain that wraps around much of Pluto’s equatorial region. The western end of the swath (right image) breaks up into a series of striking dark regularly-spaced spots, each hundreds of miles in size, which were first detected in New Horizons images taken in late June. Intriguing details are beginning to emerge in the bright material north of the dark region, in particular a series of bright and dark patches that are conspicuous just below the center of the disk in the right image. In all three black-and-white views, the apparent jagged bottom edge of Pluto is the result of image processing. A color version of the July 3 LORRI image was created by adding color data from the Ralph instrument gathered earlier in the mission. The inset shows Pluto’s orientation, illustrating its north pole, equator, and central meridian running from pole to pole.